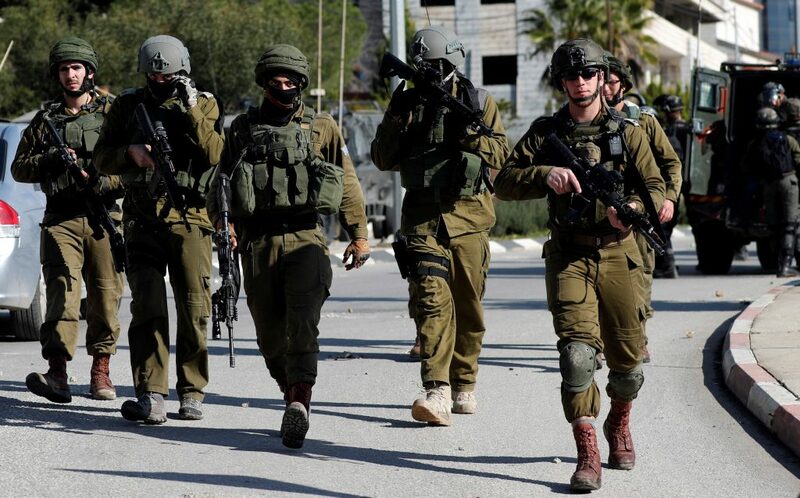 IDF soldiers early Thursday identified two Arab terrorists who were setting an explosive device on a road near the village of Deir Abu Mash’al, outside Ramallah. The road is one used by Israeli soldiers on patrol, and Arabs were likely to set off the device as soldiers patrolled the area. Soldiers opened fire on the terrorists, who ran away, leaving the bomb behind. There were no injuries to Israeli forces. IDF forces overnight Wednesday confiscated terror funds from villages in the Binyamin region. The funds, amounting to tens of thousands of shekels,were part of payments made by Hamas and the Palestinian Authority to the families of terrorists for committing terror acts against Israelis, officials said. Overnight Wednesday, security officials said they arrested 20 wanted security suspects in other areas in Yehudah and Shomron. The suspects were wanted for participating in rioting and throwing stones and firebombs that endangered Israeli civilians and IDF soldiers. Several of the suspects were also charged with belonging to Hamas. All were being questioned on their activities by security forces.